Medical startups around the United States face many of the same challenges when it comes to achieving product validation and funding to grow their businesses. Medical device accelerators and incubators play a vital role in the startup economy, providing new medical device companies with the advice, direction, resources, and funding required to start bringing their product visions to life. Whether you're looking for mentors in the industry, trying to get connected with investors or venture capital, or seeking out access to resources that can help you build a prototype, medical device incubators around the country are setup to help you reach your goals. This article offers an ultimate list of medical device accelerators and incubators that can help you take your business idea to the next level in no particular order. 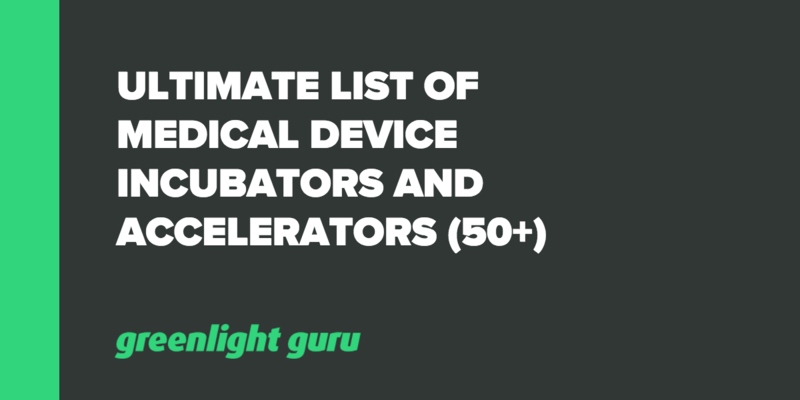 Free Download: Grab your PDF copy the Ultimate List of Medical Device Incubators and Accelerators here. Program: The Global Center for Medical Innovation (GCMI) is the Southeast’s first and only comprehensive medical device incubator innovation center, dedicated to accelerating development, building businesses and improving health. GCMI opened its doors in April 2012 and to date has worked with over 50 different startups, clinician innovators, university tech transfer offices and academic researchers to design, engineer, prototype, and facilitate commercialization of a broad range of innovative medical devices. GCMI’s core team of designers and engineers collaborate closely with startups, clinicians, researchers, new product development teams and medtech entrepreneurs to accelerate time to market while reducing costs. The independent, 501(c)(3) non-profit organization has a robust and ever-growing network of experts, including intellectual property, regulatory, quality systems and investors, to help bring ideas from concept to market. Program: TMCx+ is one of the best places for early-stage startups that are focused on rapid growth. At this incubator program, you'll find the Texas Medical Centre's Innovation Institute, with over 100,000 square-feet of space dedicated to entrepreneurship and innovation. The TMC forms a hotbed of innovation in biology and medical technology - the incubator (TMCx+) and accelerator (TMCx) programs run in parallel and are located just steps from Johnson and Johnson Innovation JLABs and the AT&T Foundry for Connected Health. Program: MedTech Innovator is the industry’s nonprofit global competition and accelerator for early- to mid-stage medical device, diagnostic, or digital health companies. This is a highly selective and unique opportunity for start-ups and emerging growth medical technology companies to gain access to stakeholders including investors, providers, FDA, and industry leaders such as Johnson & Johnson, Baxter, BD, Olympus, Amgen, Gore, and BTG. In 2018, MedTech Innovator will award over $500K in non-dilutive cash prizes. MedTech Innovator does not require equity and there is no application fee. Deadline to apply is Jan. 26, 2018. Program: The Massachusetts Medical Device Development Center helps startup medical device companies by offering access to biotechnology and medical device labs and researchers, as well as support for engineering, design and business development. Startups benefit from a suite of high-quality medical testing equipment and access to Boston venture capital and angel investment networks. Program: Located in Dallas, Health Wildcatters is a healthcare seed accelerator with a unique approach to facilitating success. The organization takes a small amount of equity, then works with you to quickly achieve a short-term objective – getting your prototype finished, securing a new investment, or launching the product. With a generous initial seed investment and a commitment to the 12-week program, companies can achieve months or years of results in a matter of weeks. Program: Welcome to one of the biggest healthcare incubators in any niche – Blueprint Health finds its home in New York City and offers an impressive network of healthcare mentors to facilitate startups that are launching new ventures in the medical device industry. The incubator supports 100 companies each year throughout a 6-month program that focuses on later-stage companies – often those that already have paying customers. Blueprint is a good place to start expanding if you’ve established a product-market fit and need to scale faster than your competition. Program: Based in Chicago, Illinois, Matter is a healthcare incubator that’s worth getting excited about. The organization brings together entrepreneurs in healthcare and life science at its 25,000 square-foot facility, providing funding and supporting innovation for companies at all stages of product development. The five-star facility includes an interactive studio that mimics an outpatient environment, a technological workshop for prototyping and concept development, and other features. Program: StartX Med is a healthcare startup accelerator with a unique caveat – someone on your founding team must be connected to Stanford University, and that person must hold a substantial equity stake in the business. Programs supported through StartX Med have raised over $3B in capital, with an average of over $6 million raised per company. Best of all, the program is supported through foundation grants and corporate partnerships – Stanford University takes no equity stake in your company. Participants will join a community of 1000+ entrepreneurs, receive customized education programming from industry experts, and gain access to the Stanford-StartX Fund which has invested $130 million in 250+ StartX companies. Application: Register on this page for notifications about the next round of applications. Program: As a huge innovator in the medical industry, Johnson & Johnson (JNJ) is committed to supporting and investing in innovation through its flexible and capital efficiency JLABS program, a network of startup accelerators and incubators that span across North America. The organization boasts incubators in Toronto, New York, San Francisco, San Diego, and the Texas Medical Centre, and just opened a new 30,000 square-foot incubator space in Singapore. A partnership with JLABS offers an incredible opportunity for companies on the cutting edge of new product innovation in either pharmaceuticals or medical device technology. JNJ seeks out companies whose ideas align with its identified business priorities – pharmaceutical innovations in neuroscience, infectious diseases and vaccines, oncology, immunology and cardiovascular/metabolism and medical/diagnostic devices for orthopedics, neurovascular surgery, vision care, diabetes, sports medicine, and aesthetics. The company also reviews ideas for healthcare IT innovations. Companies at JLABS get access to specialized capital equipment for use in product development, and JNJ takes no equity from the companies that choose to participate – instead, it opens up huge business opportunities so founders can stay focused on advancing science and developing their product. Program: Located in sunny California, the Foundry is one of the premiere destinations for medical device companies looking to strike it big. With an exclusive focus on medical device startups, the Foundry recruits highly specialized mentors and resources to help startup companies bring their dreams to life, including expertise in intellectual property and regulatory strategy. Specialists at the Foundry help medical device startups get to market more quickly, build a superior product, and even complete their 510(k)-pre-market submission with the FDA. The Foundry also boasts a lengthy roster of fundraising and investment partners, helping to connect their partner companies with the financial resources needed to facilitate growth. Program: The Fogarty Institute for Innovation (FII) is based out of the El Camino Hospital and includes extensive lab and engineering space where physicians, clinicians, inventors and engineers can collaborate on the latest medical devices that will enhance patient care. Since its inception in 2007, the FII has worked with 20 medical device startup companies, providing much needed mentorship and innovation space while connecting those companies with government grants, angel investment and venture capital. Importantly, the FII operates as a charitable non-profit organization, relying on donations to continue delivering high-quality support to medical device companies. The FII is a great place to retain equity in your company while receiving excellent developmental support throughout your organization. Program: The HAX program takes teams with hardware prototypes and turns them into functional, sustainable companies. We recruit 4-5 teams every month, typically with 2-5 entrepreneurs, who have a concept or an early prototype for a high-growth startup. The teams go through a competitive application process and agree to locate themselves in Shenzhen for the duration of the program. Over fifteen weeks, they will build and refine their prototype product, launch to an initial group of customers (generally via crowdfunding), and test their delivery and/or business models. During the last two weeks, each startup creates a polished company pitch and demo to present to press, investors and potential partners at HAX Demo Day. Following time in Shenzhen, teams will move on to grow their business, network, and skill set in San Francisco. Program: Memphis is one of the nation’s hubs of innovation when it comes to biomedical research and medical device development, making it one of the premier locations for medical device startup companies to cut their teeth. Zero to 510 helps leverage this environment by offering accelerator space to disruptive medical device startups in a unique program that focuses on developing your business model through mentorship, refining your product, and completing the FDA’s mandated 510(k) premarket filing. Successful applicants can take advantage of space in the organization’s incubator facility, along with a $50,000 cash injection and other benefits. Program: Based in Louisville, Kentucky, XLerateHealth runs a startup accelerator that caters specifically for companies that want to commercialize disruptive technologies in the healthcare sector. The curriculum here encourages entrepreneurs to “Get out of the building” and talk directly to customers and end users, continuously iterating and developing their product requirements and business model. Successful applicants will get help securing future investment, as well as mentorship on intellectual property strategy, legal compliance protection, the inner workings of the healthcare system, and strategies for entrepreneurial success. Program: BioiSci Labs is a unique networking, protoype development, and business strategy incubator created to support the technology start-up community in Rhode Island and New England. With connections to Brown University Alpert Medical School, Rhode Island Hospital, University of Rhode Island, and local subject matter experts in business planning, materials science and testing, product development, regulatory affairs, and quality assurance, BioSci Labs also provides unique laboratory, office, and manufacturing space for medical product start ups. Program: The Biology and Health Sciences department of the Austin technology incubator focuses on medical devices, diagnostics, medical research tools and new therapeutic options. The incubator is well-connected throughout Texas, including partnerships with the Heart Hospital of Austin, the RICE Alliance for Technology and Entrepreneurship, and the Central Texas Angel Network. Program: Based in Columbus, Ohio, Rev1 has made a huge impact on startup companies in the medical device business over the last five years. In their annual 2016 report, the incubator boasted a total of $5.2M invested in 27 different companies, with an average salary of $86K across all startups funded by the incubator. Rev1 is making a huge impact on the local economy, having delivered $1.2B in capital, revenue, and exits through their startup portfolio. Program: StartUp Health is a prestigious incubator currently chaired by Jerry Levin, the CEO of TimeWarner – so if you’re accepted, you can anticipate a high level of financial support, access to resources, and commitment from this organization to see your project through. StartUp Health has partnered with GE Ventures to create a 3-year program for companies that are focused on innovations that promote value-based care. Identification of gaps in care, new insurance models, new billing/payment models (including cost transparency) and risk adjustment optimization are all areas of interest. The incubator focuses on mentorship, matching accepted startups with a network of more than 10,000 health and business professionals with the goal of achieving sustainable business growth over a 3-year period. Program: StartUp Health is collaborating with SAP, a European multinational software company that builds enterprise resource management software, on an investment program that seeks to fund medical and healthcare IT startups that focus on one or more chronic diseases while helping healthcare providers address all aspects of population health management. Entrepreneurs will be heavily supported by StartUp Health and SAP, with benefits including technical and business training, access to SAP’s industry-leading cloud technologies, opportunities to pitch and present to potential customers, the potential for a $50,000 investment, and more. Program: The Iron Yard isn’t just a single incubator – it’s a rapidly growing network of startup incubators that spans the Southeastern United States and continues to expand outward. Its digital health accelerator, based in Spartanburg, S.C., offers $20,000 in seed capital along with three months of mentorship and workshops in design, development, and financing. If you’ve got a great idea for a medical device, but need web development expertise to support your team, The Iron Yard offers training in web development and places graduates with the startup companies it funds. Program: If you’re looking for a medical device accelerator with a national presence and global reach, look no further than Healthbox. With programs in Tampa, London, Nashville, Salt Lake City, Boston, and Chicago, this accelerator provides health entrepreneurs with funding and access to mentorship from healthcare investors and providers across the world. A relatively new accelerator, Healthbox has launched a franchise program that allows hospitals to create their own in-house accelerators to bolster medical device innovation in their own local communities. Application: Email info@healthbox.com for information on programs near you. Program: Dreamit is a dream incubator for the hundreds of break-through technology and medical device companies that have used its service and resources to build, market, and sell their products. The organization was named a top-10 US accelerator, top-25 most active venture investors in the United States, and has helped 300 companies achieve a combined $2B in enterprise value. Will yours be the next company to leverage their impressive track record to grow your business? Program: Could your medical device company be the next to benefit from the miracle of crowdfunding? 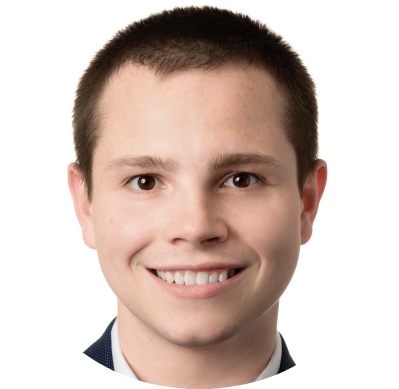 Kickstarter co-founder Mike Pence began MedStartr to enable crowdfunding for healthcare companies that were part of the Health 2.0 NYC meetup group, later relaunching the organization as a crowd engagement platform that would automate innovation support in the medical devices space. MedStartr has already funded several companies through this unique approach. Program: Jumpstart Foundry is a unicorn in the world of healthcare IT funds, one that we just had to sneak into our list. The organization isn’t really an accelerator or an incubator, but it is the third most active fund working in the United States today with a huge portfolio of startups. JSF looks for strong, product-focused companies to connect with its growing network of hospitals, insurance companies, physicians and healthcare corporations. Their team matches your company with organizations seeking the solutions that you provide, streamlining the investment process and helping you get the funding your company needs to grow – fast. Program: IW is an investment powerhouse in Southern Pennsylvania, one of the most active seed-stage investors in the United States, and a successful contributor of business expertise for young companies that want to grow as quickly as possible. Since its foundation, IW has successfully invested in 335 companies that have gone on to raise a combined $2 billion in series funding – this organization is no joke when it comes to helping companies reach their goals. While not positioned as a healthcare IT accelerator, IW has funded numerous life sciences and medical device companies to successful outcomes through its AlphaLab and AlphaLab Gear accelerator programs. Program: Based in Colorado, Boomtown Accelerator recently partnered with the National Health Council (NHC) to deliver the world’s first patient-centered healthcare accelerator. The organization is focused on supporting companies that provide solutions which improve patient health outcomes by leveraging the input and experiences of the patients themselves – we’re talking information resources, mobile applications, and personal medical devices that help patients take their health into their own hands and engage proactively with their doctors. The accelerator provides a dynamic workspace and great mentorship along with $20,000 in seed money for companies to get started and an additional $700,000 in “perks” and other benefits – that’s value! Program: Launchpad Digital Health is one of the most promising options for startups in the digital health, healthcare IT, and medical devices space. The company offers significant funding of up to $500,000 and houses all its portfolio investments in a cooperative working space, the Digital Health Hub, in the Mid-Market area of San Francisco. The co-location of 100 employees at 20 startups under the same roof provides an ideal environment for collaboration, cross-pollination of ideas and forging new partnerships, and Launchpad is prepared to host companies for at least 12 months while they continue to grow. Participating companies will also get access to corporate partners with expertise in healthcare, strategy, scaling, accounting, risk management, and legal services – everything you need to make your business a success. Program: Dotforge is a technology accelerator based in the United Kingdom. The program supports socially motivated entrepreneurs with a focus on changing the world, and 70% of its graduate companies have gone on to raise additional funding for their businesses, including several companies in the healthcare information and technology space. Although relatively new, Dotforge has already helped 31 startups in three different cities by connecting them with a growing list of investment and educational partners and over 100 professional mentors. The organization offers flexibility for startups looking to succeed in Northern England, with offices and support available in Manchester, Sheffield, Leeds, and soon Nottingham. Program: Accelerator Life Science Partners (ALSP) is one of the leading options for early-stage companies looking to secure seed investment through a growth-accelerating partnership. ALSP catalyzes the development and commercialization of biotechnology innovations, providing a suite of business, science, and financial services that are rarely surpassed by its competitors. ALSP has poured over $130 million into just 19 companies since its inception, making it a true life-long partner for the companies accepted into its prestigious accelerator program. Take advantage of individual lab suites that include microscopy and cytometry equipment, microarray, sequencing and PCR, pilot scale vaccine production, and more. Program: Techstars is one of the biggest names in venture capital, having pumped nearly $150 million into 1,157 companies that have gone on to raise $4B in total funding and a market cap of over $10B. In collaboration with Cedars-Sinai, Techstars is looking to invest in companies creating hardware, software, medical devices, or services that empower patients and healthcare providers and improve healthcare delivery. The 4-month accelerator program provides $120K in funding, mentorship from entrepreneurs and investors with diverse experiences, daily education and training, and lifetime access to the Techstars network. Program: Insight Accelerator Labs (IAL) is a Chicago-based medical device accelerator that helps companies convert their functional core technologies to commercialized products. Like other specialized medical device accelerators, IAL offers genuine expertise in the product development process, from early IP and product conceptualization to technology scaling, supply chain management, and manufacturing. The accelerator program lasts for six months, and successful companies can apply to extend their tenure for up to 18 months, allowing for a prolonged development period that better facilitates the development of a physical product. IAL’s refined business and product development processes make this accelerator an ideal location to work on your new medical device. Program: The exceptional staff at InField Medical have taken their years of experience in brokering the sale of medical device technology and used it to create a medical device technology incubator program that’s designed to get your company out of the “dugout” and “on base”, accelerating you and your company to the next level of success. In exchange for early equity, the incubator offers help with defining user needs, driving product sales in the clinical environment, technical development, and developing the business case and market viability of your technology. Reach out to the folks at InField Medical for more information on how their services can help you find success in the medical device business. Program: The Cleveland Clinic, along with Jumpstart Inc. are teaming up with Plug and Play Inc., one of the largest global innovation accelerators based in Silicon Valley, on a 3-year project that will establish a healthcare technology center in Cleveland. Beginning in Spring 2018, the program will fund 20 companies per year, along with connecting them to a network of over 200 corporate partners in the healthcare technology space. Cleveland will become Plug and Play’s first U.S. program focused entirely on healthcare and technology. Program: BioEnterprise is an accelerator with a passion for improving healthcare, wellbeing, and expertise in biotechnology, health IT and services, and medical devices. BioEnterprise boasts one of the most impressive track records for medical device investment in the Northeast – the organization has accelerated 350 companies through its program, helped them raise a combined $2 billion in funding and watched 67 of them conduct successful exits. Program: Could Flashstarts be the right growth accelerator for your medical device startup? Flashstarts is a Cleveland-based technology accelerator that specializes in healthcare IT and enterprise IT, meaning they’re more suited to working with medical device startups that are focused on software applications. Still, Flashstarts offers space between 6-12 teams of 1-4 people at its 12-week summer program every year, along with $25,000-$50,000 in funding and hands-on mentorship designed to propel your company towards the next milestone. Program: Idea Foundry is a Pittsburgh-based startup accelerator that focuses on transforming innovative business ideas into lucrative commercial activities while leveraging global programs to attract talent and capital to West Pennsylvania from around the world. Their accelerator program, Impact Innovations, focuses on using innovative solutions to generate a social, environmental, medical, or economic impact. This includes medical technology, education technology, environmental technology, social enterprises, and much more. Several medical device companies feature in their impressive 200-company portfolio that generated $1 billion in economic impact since 2002. Program: Indiana University may be the perfect place to launch a startup in the healthcare IT and medical devices market. The Emerging Technologies Center functions as a business incubator and accelerator for life sciences, biotechnology, and bioinformatics companies. The University’s Research and Technology Corporation can also give you the support you need in realizing the commercial potential of your medical device. The closely linked Innovate Indiana Fund, a $10 million venture capital fund, has already been leveraged to propel other Indiana-based medical startups to success. Program: With offices in Israel and the United States, eHealth Ventures is a new startup incubator with an exclusive focus on commercial development of digital health companies. eHealth Ventures emerged as a partnership between Maccabi Healthcare Services, the Cleveland Clinic, Amgen, Medison Pharma and Shanghai Creation Investment. The organization has already funded 5 companies, after winning a competitive tender to build a new digital health incubator in Israel, and their first cohort is likely to benefit from tremendous financial support and the best mentorship and strategic partnerships available. eHV holds an annual innovation contest attracting the best and brightest digital health companies in Israel. Program: This incubator specializes in turning your medical device idea into a success story by providing hands-on management and product development expertise, along with solid venture capital partnerships. The Innovation Factory specializes in early concept testing, helping you quickly determine what value you can provide and what returns you can expect from your idea for a new medical device. Program: A trendy new accelerator based in Louisiana, Accelerate Acadiana is offering a lot to startups located in the deep South that are ready to grow their business fast. Forging partnerships with over 200 local and statewide investors and leveraging grant money through Federal programs and the University of Louisiana, Accelerate Acadiana offers a 14-week business accelerator that includes mentorship and support from a pool of 50 successful professionals, help with customer acquisition, a great office space at the Opportunity Machine, Louisiana’s premium startup incubator, and more. For the Spring 2018 cohort, AA is looking for growth stage healthcare companies that need investment to stimulate growth. Program: OneTraction (OT) is a truly unique innovation accelerator based in Silicon Valley. The organization openly criticizes venture capital firms that are too fixated on early returns, and forget about the need to create products that genuinely impact the market. OT offers acceleration programs to its partner’s companies in three phases. In phase one, companies get $100,000 in investment along with Tech Labs access, enabling firms to freely innovate and create the best product they can. OT also connects its partner companies with Fortune 500 businesses to help identify the best market and distribution opportunities, streamlining the product validation process and keeping firms focused on product development and getting to market. OT may fund your company from seed rounds all the way to series B, working in syndicated partnership with top universities, corporate innovation centers, and other incubators. Program: Z80 Labs markets itself as an internet startup incubator and promises to help entrepreneurs build new and innovative companies. Participants in the Z80 incubator program can take advantage of office space, education programs, and mentorship from industry experts. The incubator also allows Life Sciences, GreenTech, and SaaS companies to join the incubator, provided they have a local sponsor, so this could be a good fit if your project has funding and needs operational space and other support in upstate New York. Along with up to $150,000 in funding, Z80 offers additional space in its high-tech incubator on the Buffalo Niagara Medical Campus. Program: Lansing PROTO is a product development accelerator that helps entrepreneurs design physical products and get them to market. The accelerator provides up to $15,000 in seed funding, along with access to prototyping facilities and equipment, including laser cutters, 3D printing, 3D scanners, CNC machine, and more. If you’re working on a medical device, this could be an excellent program for developing a working prototype of your product while you develop your business and marketing strategies. The program lasts a full 8 months, so you’ll have plenty of time to make progress while accessing the accelerator’s facility and network of mentors. Program: BD Technologies and Innovation (BDTI) is one of the leading life sciences and biotechnology incubators in the Southeast, making it the perfect place to develop an innovative new medical device or healthcare IT product. BDTI’s business activities range from the development of in vitro diagnostic technologies for hospitals to the development of products that automate library generation for the genomic sciences. Although the company creates many of its own technologies, BDTI works to accelerate early-stage life science companies through collaboration, licensing and incubation. Program: Situated at the University of Washington, CoMotion labs is a great destination for startups, entrepreneurs, and innovators in the Pacific Northwest. The accelerator markets itself as an innovation hub – a thriving ecosystem of innovation where the best and brightest minds can collaborate and turn their dreams into realities for the future. The organization provides a multi-industry labs system, hosting startups dedicated to IT, life sciences, medical devices, clean technology and virtual reality. The incubator hosts 60-90 companies at once, ranging from pre-seed to Series A, and employing 2-15 people each. Program: Mercury Medical Technologies (MMT) is a stand-out in the world of healthcare technology incubators – rather being funded through private venture capital or a University innovation program, this program is supported directly by the city of Bothell, WA. MMT is a medical device incubator that caters to early stage and emerging firms who show promise of becoming independent businesses in the Washington area. Participating firms benefit from 7-day access to a privileged office space and opportunities to network with other entrepreneurs in the program. MMT is run as a non-profit, so you won’t give up any equity, but won’t receive any cash either. This may be good or bad for you depending on your situation, but it’s worth considering how you might benefit from leveraging the service offerings here at zero cost. Program: Athenahealth (AH) has all the tools in place to help you maximize your impact in healthcare IT or medical device development. The organization offers medical record, revenue cycle, patient engagement, care coordination, and population health services to its partners in hospital and ambulatory care. It’s innovation program, More Disruption Please (MDP), brings entrepreneurs together with a passion for creating new solutions to the biggest healthcare problems. Program participants benefit from AH’s curated roster of mentors and its cutting-edge research and development teams, without having to give up any equity in their companies. Successful companies are considered for investment and partnership offers. Program: The Henry Ford Innovation Institute (HFII) departs from the usual formula for medical startup incubators and accelerators by offering space at its facility for solo entrepreneurs with the requirement that they are already employed somewhere else. This is one of the only incubators that requires its applicants to have a separate job! In a 9-month program that takes 12 hours per week, participants will develop a team-based innovation project that leverages the instruction they receive during the program’s class hours – topics include the importance of biomedical information, fundamentals of intellectual property, opportunity assessment, how to obtain financing, regulations like the FDA and HIPPA, and how to nail a pitch or presentation to secure funding. Program: Interface Health is a web-based, global community of innovators and investors operating in the digital health space. Through the platform, you can connect with researchers, find business partners, and communicate with consumers, all while sharing ideas and exploring new opportunities for yourself. The organization is currently putting together the 3rd annual Interface Health Challenge, a global competition for digital health startups from every continent. Teams with truly innovative products and the ability to scale globally will pitch their innovative ideas to industry professionals for a chance to share in the lucrative prize pool, which includes $100,000 in cash, and other services. If you noticed that this isn’t an accelerator program, you’re right, but a successful run in the Interface Challenge is enough to get your company all the exposure you’ll need to attract investment from the right people. Program: If you’ve never heard of Relevant Health (RH), it’s time to add this program to your list of the Top Healthcare IT accelerators in the Pacific Northwest. RH offers a 5-month program where founders of health tech startups can develop the skills to effectively build, position and launch a commercially viable healthcare tech product. Admitted companies will be supplied with space in the incubator/coworking facility, access to the local health tech ecosystem, mentorship, and up to $50,000 in funding. RH maintains a strict product-focus, empowering startups to build an MVP – that’s a minimum viable product – by the time they graduate from the program. Program: Tigerlabs is a 6-month accelerator program that targets early stage software companies across a variety of sectors, including healthcare information technology. Participants will benefit from direct access to decision-makers at leading corporations, targeted mentorship from the team at Tigerlabs, including executives, serial entrepreneurs, and investors, and a $25,000 up-front investment (in exchange for 6% common equity) with up to $50,000 in additional matching capital. The program accepts quarterly applications, unlike other programs which take new companies annually, so you’ll have four times the chances to get noticed. Program: New York Governor Andrew Cuomo’s Buffalo Billion initiative inspired 43North to create and implement the world’s largest business idea competition, offering a $5 million prize pool for companies from around the world who successfully compete. Along with cash, winners receive incubator space in Buffalo, and some awesome mentorship and investment opportunities. The first-place team scores $1 million in startup capital, with seven runners-up each receiving investments of at least half a million dollars. Finally, the State of New York has set up an added incentive that makes this incubator stand out among its peers – 10 years of freedom from NY state taxes for all winning companies, and the opportunity to get personal income tax breaks for employees at your company. What incubator can offer that? Accelerators and incubators play an important role in driving innovation for medical device companies and other startups across the country. Still, each company that wants to sell its products in the North American and International marketplaces will have to pass compliance audits showing that their medical device is both safe and meets the requirements of the end user. That's where we come in - our medical device specific quality management software (QMS) is an all-in-one solution for companies to help accelerator your product development efforts during your time at an accelerator or incubator program. With funding and mentoring in place, an effective EQMS is a necessary piece of the puzzle that will allow you to pass compliance audits with flying colors and get your device on the market sooner with less risk. Thanks for checking out our ultimate list of healthcare technology accelerators and incubators! With new opportunities for funding and support materializing every day, it's the best time to get started in the medical device business and start turning your great ideas into a great product.